Yes, it is possible to encourage and to cultivate peace in Africa and the pre-colonial history of the African continent has proven that. It is imperative that we challenge the limited notions of what peace means and what peace can accomplish. Peace is not limited to the absence of war and conflict. Peace is a potential and a power that is much deeper and stronger than that. There are inspiring examples of peaceful civilizations throughout pre-colonial African history, from the Nile River civilizations in the north, to the Great Zimbabwe in the south, where peaceful communities flourished. The potential of peace was realized in these civilizations through prolific advances in both art and science. Peaceful societies produced advances in engineering, stone masonry, textiles, literature, philosophy and mathematics. Communities were governed with a respect for elder wisdom and conflicts and disputes were adjudicated skillfully and ethically. Peace in Africa cannot be defined by the absence of war and conflict any more than light can be defined by the absence of darkness. Peace, like light, is a power within itself. These possibilities for peace still exist today, in present day Africa. Peace in Africa cannot be defined by the absence of war and conflict any more than light can be defined by the absence of darkness. Peace, like light, is a power and a presence within itself and all over Africa people vigilantly strive to cultivate peaceful resolutions. 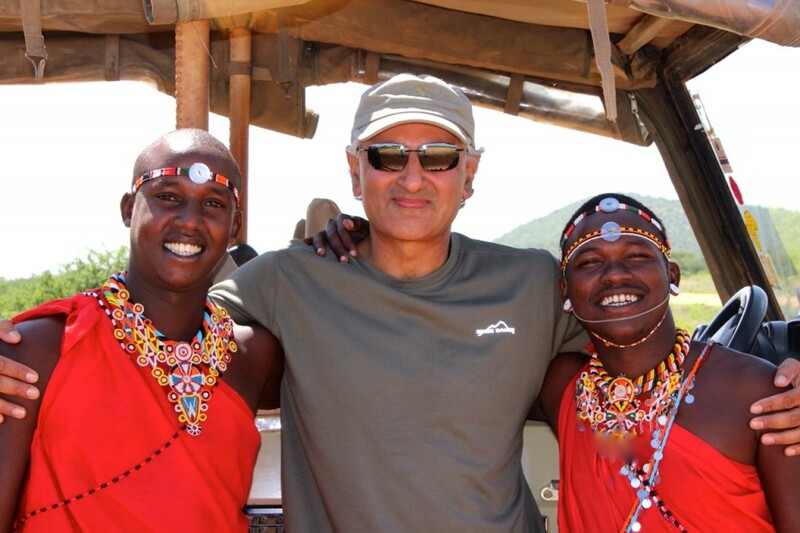 I was born in Africa and grew up in Africa and attended school in Kenya. As a teenager in Kenya, the most horrific news for me and my school friends, was news of the Soweto massacre in Apartheid South Africa. 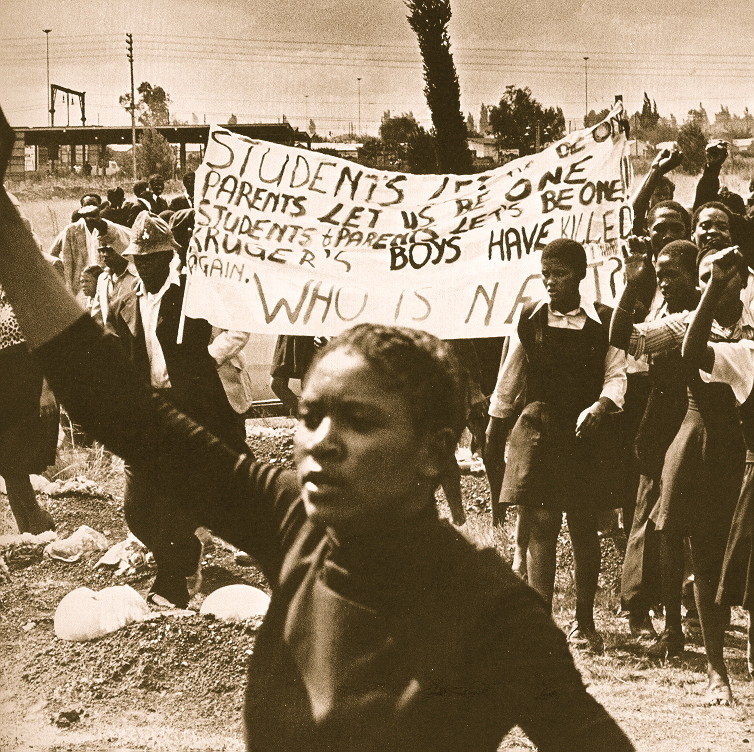 Over 700 schoolchildren in Soweto had been gunned down by the South African police simply because they were peacefully protesting the need for a change in school curriculum. These children were requesting a shift from a Eurocentric school curriculum to an Afrocentric school curriculum. The entire African continent, and the world, was shaken by the horrific news of the Soweto massacre. I recall my Kenyan classmates and I going to school the next morning in a stunned silence. The class for the first period was geography. We all sat quietly in geography class while our geography teacher sat speechless at his desk facing the classroom. When he finally tried to speak to us, he began to weep instead. He wept uncontrollably. We helplessly watched our school teacher weep for that entire 50 minute class period. 700 schoolchildren in Soweto had been gunned down by the South African police simply because they were peacefully protesting the need for a change in school curriculum. Ten years after the Soweto massacre, I had won a merit scholarship for my doctorate studies at the Harvard Graduate School of Education. My thesis research was a response to the Soweto schoolchildren’s protest for a more progressive and representative school curriculum. Professor Sara Lawrence-Lightfoot, my doctoral thesis advisor at Harvard, was a tremendous support in helping me to translate the spirit of the Soweto protest into practical and progressive school curriculum models. For example, the Soweto schoolchildren were protesting to learn about their indigenous Bantu culture, rather than the exclusively imposed Afrikaans curriculum by the Apartheid government. So, we developed school curriculum that celebrated the dignity and heritage of indigenous cultures, a curriculum that restored a sense of national identity and purpose. The profoundly intelligent and enlightened pre-colonial legacies of African civilizations had been selectively left out of the record in history textbooks written by European colonialists. Moreover, the narrative had been skewed by European colonialists toward African history characterized as barbaric and savage, before the Europeans came along to ‘civilize’ Africa. 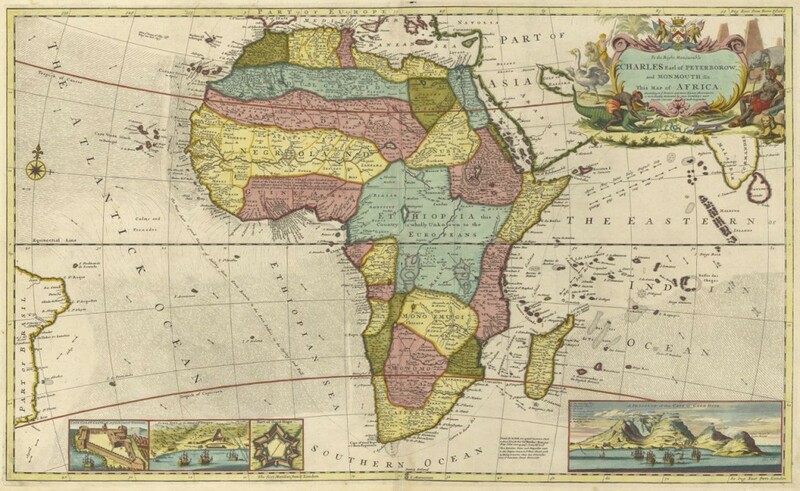 Not only was this Eurocentric history not accurate, it was deviously self-serving. The profoundly intelligent and enlightened pre-colonial legacies of African civilizations had been selectively left out of the record in the history textbooks by European colonialists. Working with Harvard researchers and professors such as my doctoral thesis advisor and Professor Howard Gardener, I developed school history curriculum that offered a more accurate historical record which included the enlightened and gifted African societies that were models of peace. Once I had developed the school curriculum the next step was to implement these new learning models into classrooms around the world. To launch the program, I met with two Noble Peace Prize recipients, Desmond Tutu and Betty Williams, who advised me on how to get started. A strong stereotype of Africa, is that men are in charge and women are disempowered. For this reason, I launched the curriculum at a girls’s school in Harare, Zimbabwe. One of the graduates of this school is Rutendo Urenje, the Managing Editor of African Peace Journal. Another strong stereotype of Africa, one that is perpetuated by European colonialists writing the history textbooks, is that ‘The Dark Continent’ of Africa has a history of savagery and barbarism. As a response to this stereotype, I worked with local Zimbabwean school teachers, such as Rutendo’s father Shepherd, to develop curriculum on the sophisticated societal structure of the Great Zimbabwe at Mazvingo in Zimbabwe. I learned that it is possible to have a peaceful response to violence and bloodshed. From launching in Zimbabwe, the curriculum I developed was implemented on 5 continents and utilized by over 3,500 schoolchildren worldwide. In my own way, I took up the cause of the protesting Soweto schoolchildren and honored their deep desire for representative school curriculum. I have founded a program at a middle school in the San Francisco Bay Area called Pencils for Africa (click here to view the website). This program has been in operation for almost two years now, and works with an editorial team of middle-schoolers between the ages of 11 and 13, on Africa-focused journalistic interviews and projects. The Pencils for Africa team is skillfully mentored by their art teacher, Chyah Weitzman. 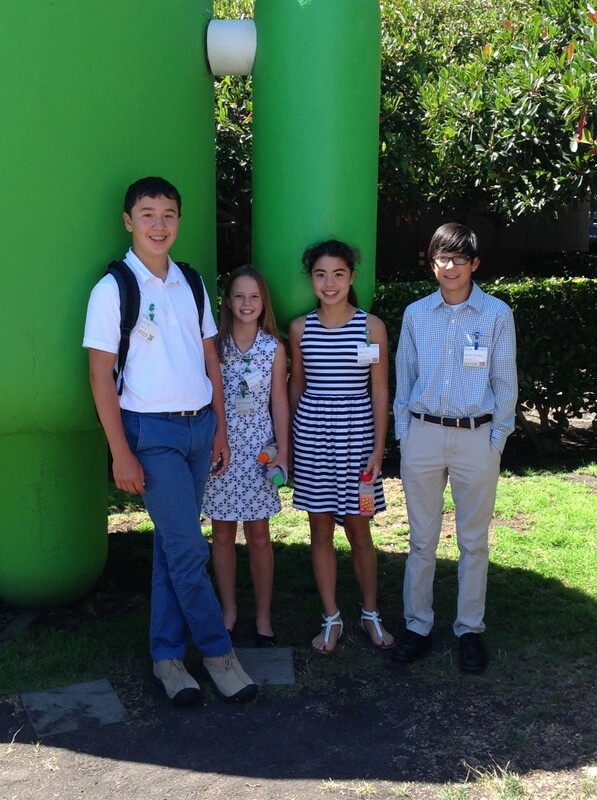 Pencils for Africa students presented their educational technology models to Google. The team recently presented their innovative work to members of Google in Mountain View, California (click here to view the presentation). Pencils for Africa is also a futuristic model for how educational technology tools can be applied to better understand Africa’s culture and people. I feel very fortunate that I have a school teacher’s perspective of the potential for peace in Africa rather than, say, a politician’s perspective. A politician may understandably feel disheartened when looking back, for example, at the genocides in Rwanda and Darfur, and how, perhaps, American or European foreign policymakers might have been more supportive and handled those tragic situations better than they did. However, a school teacher is always looking forward, not back, envisioning ways in which to nurture the future policymakers of our world. Schoolteachers look forward, not back, envisioning ways to nurture future policymakers. I started out as a schoolteacher in New York’s inner city in Harlem and the South Bronx where my students had to be screened for weapons. I concluded my teaching career as a middle school principal of a Massachusetts state charter school. In between, I have taught school in many countries, from a remote rural school near the Indian Himalayas to an urban school in the industrial part of Lithuania. The one consistent thread throughout my teaching experiences, is the limitless curiosity and sunny optimism of young students on how to make the world a better place. The thread in my teaching experiences is the curiosity and optimism of the students. The Pencils for Africa editorial team is brimming with this limitless curiosity and sunny optimism! These bright young people are diligently interviewing and documenting the work of some remarkable humanitarians, artists, educators and social entrepreneurs working in Africa today. Pencils for Africa is also a ‘lab’ based upon my two year experience at the MIT Media Lab where I received my Master of Science degree. Pencils for Africa applies the innovative Edisonian Approach which I learned at MIT. The program is a laboratory for tinkering and experimenting with new approaches for understanding the African continent and applying the latest tools of educational technology to enhance this understanding. This energetic team has incubated and nurtured profoundly futuristic models. This is a frugal version of the MIT Media Lab’s ‘One Laptop per Child’ program. OPPC works with pencil manufacturers to send pencils to schools and communities in Africa where many children have to share just one pencil. In some communities in Africa, over 30 children share a single pencil. The team, working with their Global Ambassador, CNN Hero Jackson Kaguri, are sourcing communities in need of pencils in Africa. (Kindly click here to view the PFA Editor-in-Chief’s video presentation on One Pencil Per Child to the Pencils for Africa Board of Directors). The Pencils for Africa team is building alliances with schools in Europe within countries that were the former colonizers of African countries. On the hundredth anniversary of the 1914 Scramble for Africa, the PFA team is encouraging these European school students to reverse the paradigm of European Colonialism by finding ways in which to meaningfully begin to give to, rather than to historically just take from, Africa. 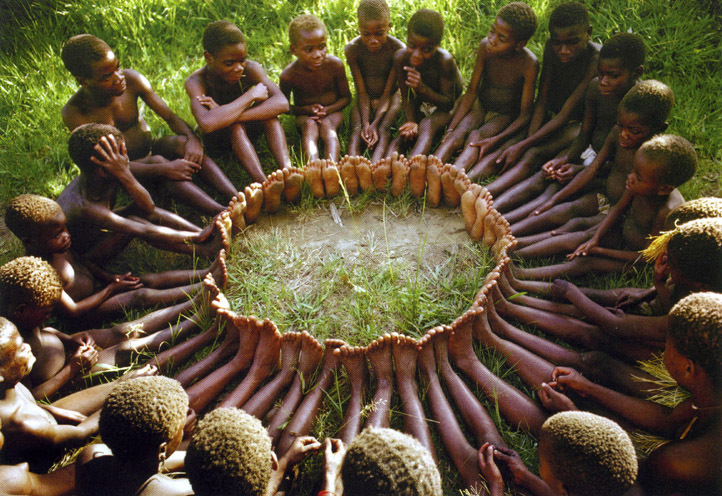 The team is working with the traditional African community value and ethic of Ubuntu to cultivate ideas of peace and cooperation. One methodology they are implementing is the method of Fambul Tok. 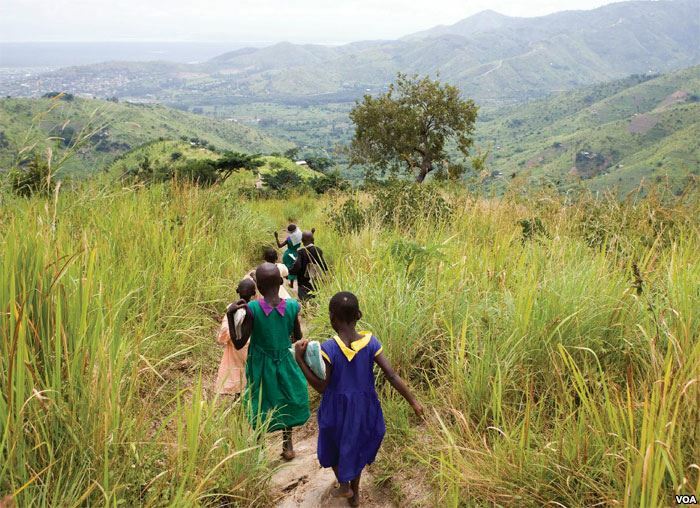 Pencils for Africa has built an alliance with Catalyst for Peace (click here for the website), founded by Libby Hoffman, a contributing editor to African Peace Journal. The PFA teacher, Chyah Weitzman, is working closely with Catalyst for Peace’s coordinator of the Wan Fambul US school clubs program, to cultivate peace leadership skills amongst the PFA students. The PFA team, working closely with one of the PFA Board of Directors, Olivier Bercault, is building ways to communicate with children in Africa who have witnessed genocide; to learn about their experiences and nurture friendships with these children who are often marginalized and shunned. Olivier is a Human Rights lawyer and researcher for Human Rights Watch (click here to view Olivier’s bio on the PFA Board of Director’s page). Pencils for Africa is working with a Human Rights Watch lawyer to build friendships with peer groups of children in Africa that are refugees who have witnessed genocide. 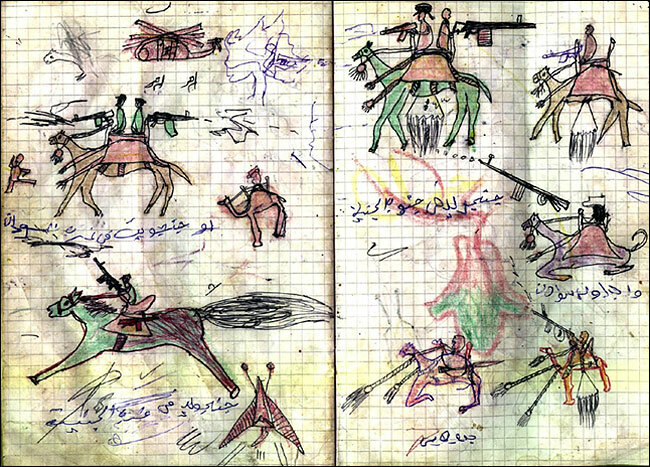 While conducting research in Darfur, Sudan, Olivier noticed that when the children traumatized by the genocide were given pencils and paper, they were able to visually tell the story of what they witnessed. 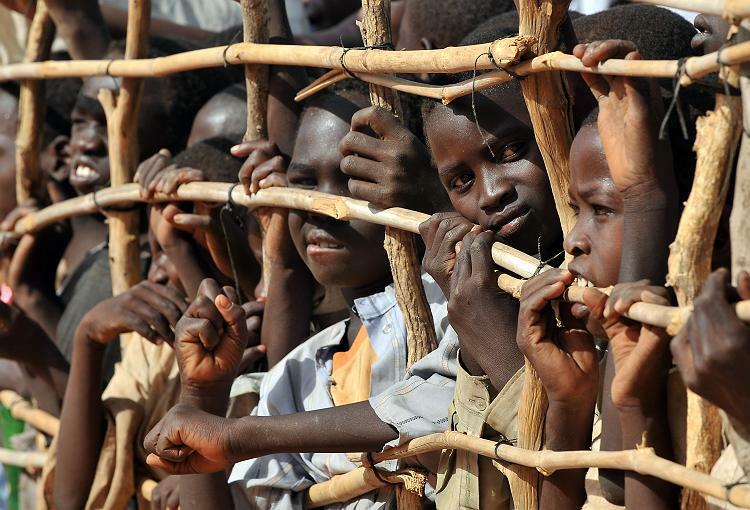 The PFA team will work with African children in similar situations of war and conflict. The San Francisco Bay Area is a vibrant worldwide hub of technology and innovation and the Pencils for Africa students are demonstrating tremendous leadership in these fields. The students are applying the Edisonian Approach, an approach I learned at MIT, and which is based upon the inventive methodology of Thomas Edison. This approach is based upon openness to all possibilities no matter how impossible they seem. By applying the Edisonian Approach, the PFA students are demonstrating models of educational technology that may one day be replicated by other schools around the world. These models build a stronger and deeper understanding of the people and cultures of the continent of Africa. Empower women in Africa through educational opportunity. 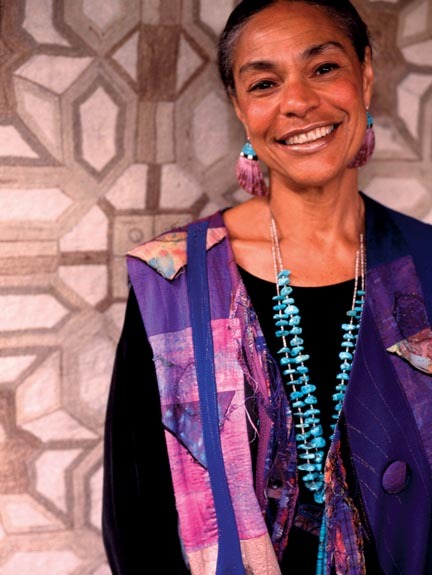 Volunteer to support initiatives that cultivate the empowerment of women in Africa. 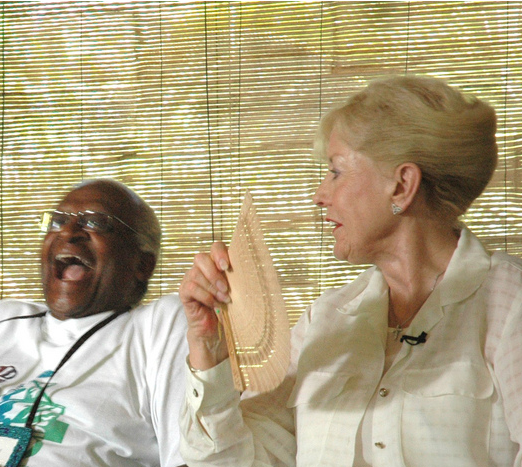 The most significant lesson I learned from Desmond Tutu is the need to empower women in Africa and to demonstrate the pioneering leadership models of women working for a more peaceful Africa. It is not a coincidence that the previous 10 interviews in this ‘3 Question’ interview series all feature courageous and enterprising women working in Africa today. Nor is it a coincidence that, as Editor-in-Chief, my entire editorial team, including the Managing Editor, is comprised of women. All of this is a deliberate strategy to restore the balance and celebrate the accomplishments of women role models on the continent of Africa. (Kindly click here to view African Peace Journal’s Editorial Team, and kindly click here to view the complete list of ‘3 Questions’ interviewees). When you educate a woman, you educate a family. When you educate a family, you educate a nation.